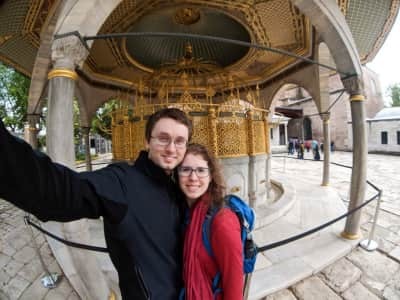 Two full-time travellers who like a break from time-to-time to spend time with animals. 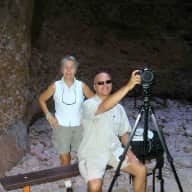 Steve is a freelance nature photographer and I am a freelance nature & outdoor travel writer. We spend a portion of our time travelling, taking photos and writing articles, but to really get the flavor of a place we like to spend time in a home caring for animals and/or tending to a house and garden. We are both animal-lovers, both domestic and wild. Steve was previously a primary and middle school teacher in a number of schools in Melbourne, Australia and Naples, Florida. I was a child-therapist before becoming a full-time freelance writer. We are both originally from the United States but we have spent many years in Australia and are now proud to have dual-citizenship (a process that included police background checks in the U.S.A. and Australia). We are currently based in Naples, Florida. -We will love and care for your animals, and your home and garden, as if they were our own. Please visit our website at Natural Wanders for more information on our work and our background. You may also want to visit our Pet & House Sitting Facebook page at https://www.facebook.com/LindaStevePetSitting for a complete selection of reference letters and pictures of some of the pets we have had the fun of caring for. Some of the references come from pet-sit engagements not made through Trusted Housesitters. 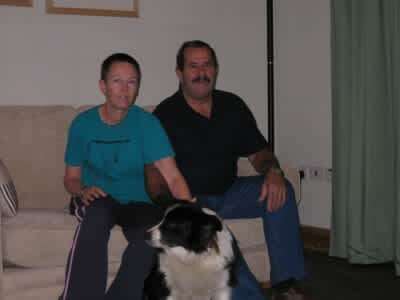 -We are a non-smoking, vegetarian, married couple who will keep your home tidy and clean and your pets happy and safe. -We work from 'home', in this case, your home, so we would not be leaving your animals for long periods during the day (or night). -We will not invite others to your home, and aside from a glass of wine or a beer with dinner, we don't drink. -We have respect for the privacy and property of others: simply close the doors of (or advise us of) rooms you do not want us to go in and we won't! -We have enhanced level verification via Trusted Housesitters' Onfido criminal check as well police clearance in the United States and Australia. -Once we accept a housesit, we do not back out unless there is a dire emergency (this has never happened). Please email us if you have any questions. Thank you. We love to fully experience the flavor and sense of a place by actually living there for a short or longer period of time. Nothing affords this opportunity like staying in a home with pets to care for and a home and garden to tend to. We love animals, and the more pets we get to care for and love, the better our lives are! We have been house and pet sitters for numerous people on numerous occasions. We have cared for cats, dogs, parrots, chickens, pigs and so on. We will also care for your home as if it were our own. For reference letters and pictures of some of our pet-friends please visit our Facebook page at LindaStevePetSitting. Thank you. Fantastic housesitters! Our house was immaculate on our return, the gardens well watered (and alive) and the cat a happy one. Would highly recommend Linda and Steve to take care of your home. Steve and Linda have (a) lived with us for six months, (b) looked after our disabled daughter and animals over extended periods of time, boarded with my Mother in Law for 6 months. If you need someone to look after your house, especially if you have animals, they are perfect! They should get a 10/5 for pet care. I highly recommend them as reliable house/pet sitters. I am happy to strongly support Linda Rathbun and Steven Miller. During the last four years they have been pet sitting for my two cats when I traveled. They are the best pet sitters I have ever had. I would love to have them as my permanent cat sitters. Linda and Steve are conscientious and knowledgeable with the highest level of personal integrity. They did everything I asked and more. 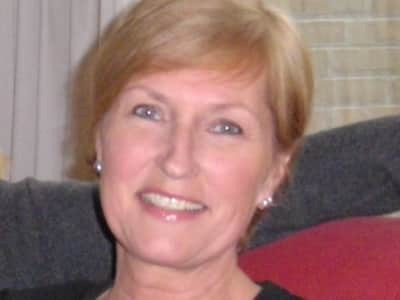 Linda called as needed, sent pictures, and even saved me untold money by hearing something in my condo which was a leak in my bathroom ceiling. My cats wellIbeing was the most important task. I came home to happy cats they obviously had lots of care and attention when I was gone. I always knew that if my cats or my condo needed anything, Linda and Steve would make excellent decisions and take action as needed. I trust Linda and Steve in every way. They came in and out of my condo at least twice a day. I loved being able to leave my condo without having any concerns. In closing, Linda and Steve made my travels stress free and I will always be grateful. 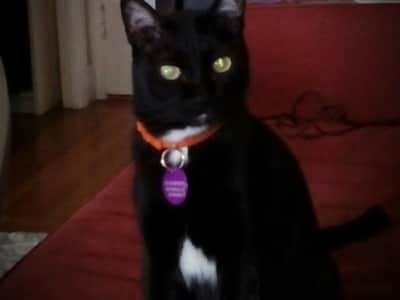 I am writing to highly recommend Linda Lee Rathbun and Steven David Miller as pet and home sitters. In the four years that I have known them, they have provided excellent care for my two cats for periods varying from four to10 days. These two individuals take the extra time to play with and fondle the cats. I can easily tell the difference in the cats mood and wellness when I return. When I have left my pets in others care, the cats have been more stressed and needy when I return. On my last 10- day trip, Linda and Steve noticed an outbreak of poisonous toads that suddenly appeared in Southwest Florida during exceptional tropical weather. They took immediate action to confine my cats appropriately and keep me informed appropriately. I trust these two individuals so highly that I have asked them to permanently store my house key at their home so that they could quickly react if I had an emergency. During the time that they are watching my home and pets, I have never felt the need to secure or hide private documents because Linda and Steve are of such high integrity that I never doubted they would disturb my private things. Although I will sorely miss them as trusted pet and home sitters, I can recommend them without hesitation to anyone fortunate enough to be able to secure their services. In the summer of 2012, I moved to Naples, Florida with my two dogs Tessie and Rocky. My dogs are Cockapoos, 10 and 8 years old, and they are my family. As part of my family, when I travel and cant take them with me, I always want to leave them in the best possible situation that I can and that is of course, to leave them at home with someone who will care and love them the way that I do. I was very fortunate to meet a wonderful couple named Linda Rathbun and Steve Miller who happen to love all animals. In July, 2013 I went away for 3 weeks to visit family and Steve and Linda moved right into my house and took care Tessie and Rocky for me. I felt very comfortable leaving them with Steve and Linda because I knew my dogs loved them. They actually got more exercise with them than with me. About two weeks into the trip, Linda called me to tell me that they had taken Rocky to the Vet because he was not able to jump up on the couch or the bed and they wanted him looked at right away. You see, Rocky is a very high energy dog and Linda and Steve knew that something was wrong immediately. The vet said that Rocky had a sprained back and was given some medicine with instructions on having him rest for a few days.This is not an easy task with a dog like Rocky, but they were able to keep him quiet until he was better and I was so relieved they were there and he wasnt in a boarding facility. Over the past few years Steve and Linda have stayed at my house many times and I have been able to go away and not worry about my little family. This past summer, I actually went away for 5 weeks, which is the longest period I have ever left the dogs. When I came home, the house was in perfect condition, my mail was separated into piles and my dogs were clean and very happy. I would highly recommend Steve and Linda to House sit or Pet sit. We have used Linda Lee Rathbun and Steven David Miller for years and they are exceptional! Our pet-sitting needs are out-of-the ordinary circumstances. We have a sanctuary for over 50 parrots, we also have two dogs, two cats, chickens and ducks. We consider them members of our family, our fids, -- our kids with feathers and fur. It is important to us to know they are in loving and capable hands when we are away. Linda and Steven show great common sense in dealing with our fids and their needs. We have complete confidence in their judgment and reliability and most of all their kindness towards our fids. We would not hesitate to recommend them as pet-sitters. Linda and Steven are also very honest and very trustworthy. We have complete trust in them being in our home. They make sure that our home is secure. You would never have to worry about that. We thank them so much for taking good care of our fids. The peace of mind knowing they were well-cared for and our home was looked after is priceless! Thanks so much for the wonderful service. My husband and I give Linda and Steven our fullest recommendation.